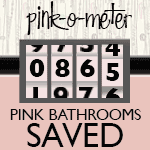 HOW DID AMERICA END UP WITH 5 MILLION pink bathrooms? Credit goes to: A super-efficient military wife with sparkling blue eyes. Mamie Doud Eisenhower had a tried-and-true method for setting up new households as she traveled the world with her husband the General. She knew she looked good in pink. Put the two together and ultimately you get: Mamie Pink bathrooms all across America. Five million is my conservative estimate. Maybe even 10 million, a reader yesterday estimated. Today we dive into the story of how Mamie Eisenhower led us down this primrose pink path. Above: 1960 Christmas card made by Hallmark for Mamie. All images in this post courtesy The Eisenhower National Historic Site. 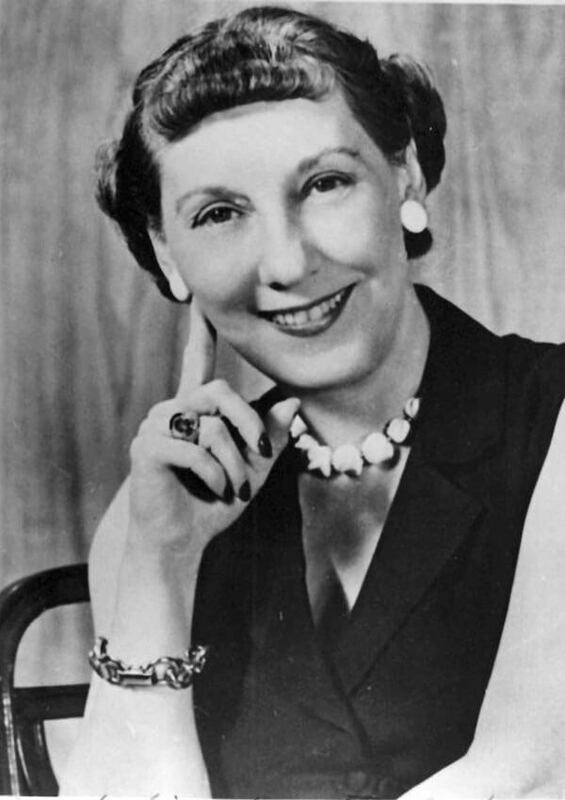 Mamie Doud Eisenhower was First Lady to President Dwight D. Eisenhower from 1953-1961. But before that, she was wife to Ike the General, and they moved from base to base constantly. In a recent interview with Carol Hegeman, Supervisory Historian at the Eisenhower National Historic Site, I learned that whenever Mamie and Ike moved to a new posting, Mamie carried her favorite color samples with her so that she could efficiently set up a new yet familiar household. 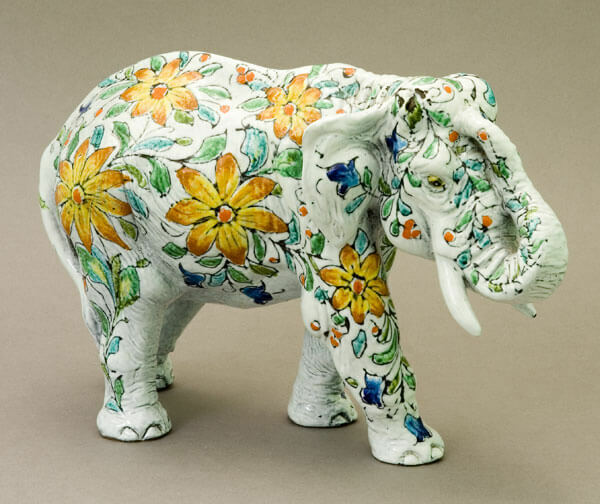 With no fuss and little muss, Mamie had her home sweet home – over and over again. 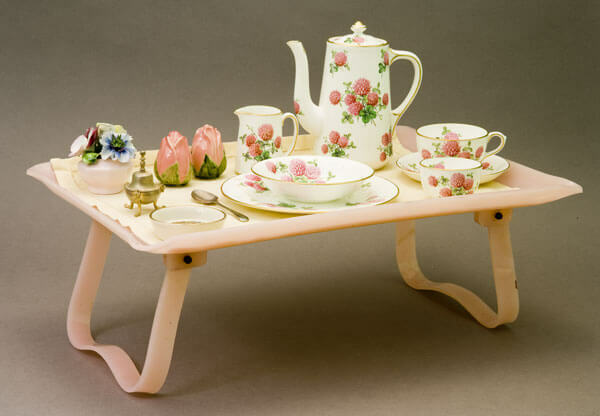 Mamie’s tea tray, Gettysburg. “Mamie believed that once a woman reached the age of 50, she was entitled to stay in bed until noon.” Hey, count me IN. 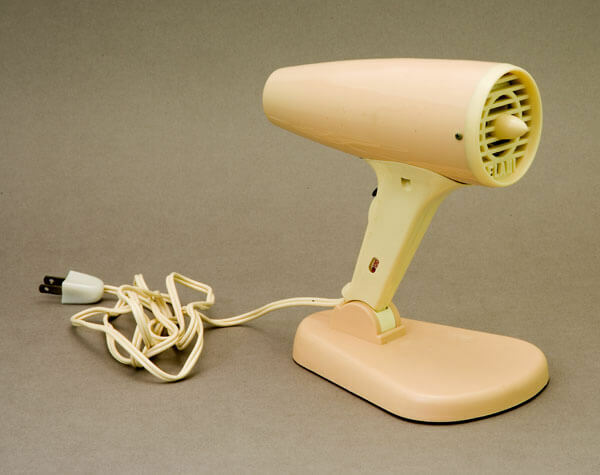 I am not an academic, but from looking at kitchen, bathroom and other marketing materials from the postwar era, it seems pretty clear that the penchant for pink in the home – especially bathroom fixtures and tiles but also kitchen appliances and then cabinets – was at a frenzy from about 1954 through to 1960 or so. It still existed well into the 60s, but at a less rampant rate. In the 60s, America and its color choices were sobered by the Cold War, JFK’s death, environmentalism and the plain old pendulum swing of color trends. 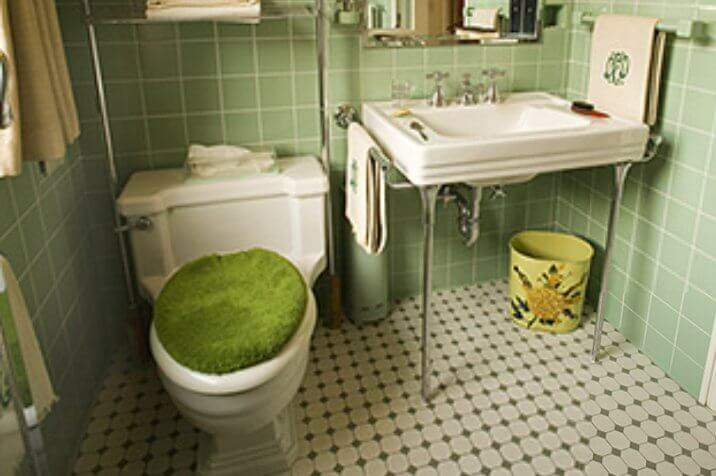 We’ve also seen pink bathrooms from the 1930s, but these were not the “golden years” for this color or for bathrooms in general due to economic circumstances. 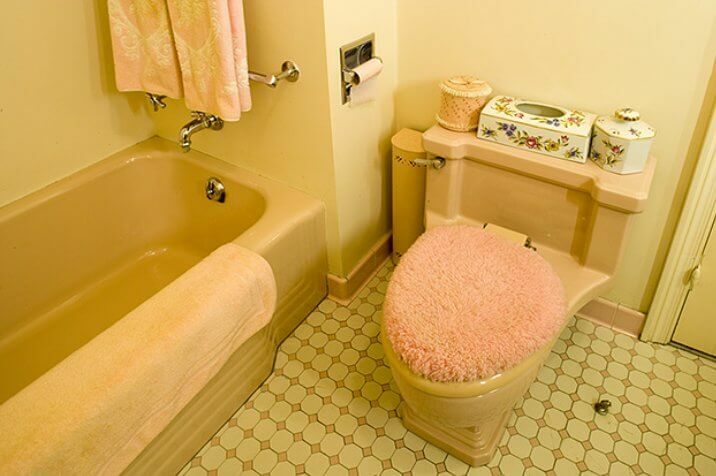 The thing about pink bathrooms from the 50s is that they came hand-in-hand with America’s postwar middle class boom — in that sense, they are almost emblematic. The living room at Gettysburg. From 1953-1956, Mamie and Ike also built their retirement home, a farm, in Gettysburg, Pennsylania. This is today’s Eisenhower National Historic Site, operated by the National Park Service. The couple built a new house, starting with the salvageable portion of the original 1840s farmhouse. And sure enough, Mamie used her same favorite color palette. She also used furniture that she had since the 20s and 30s, getting old favorites refinished or slip-covered. Mamie was a woman knew what she liked. And, she had lived through the Depression – it sounds like she didn’t want new stuff that she didn’t need. 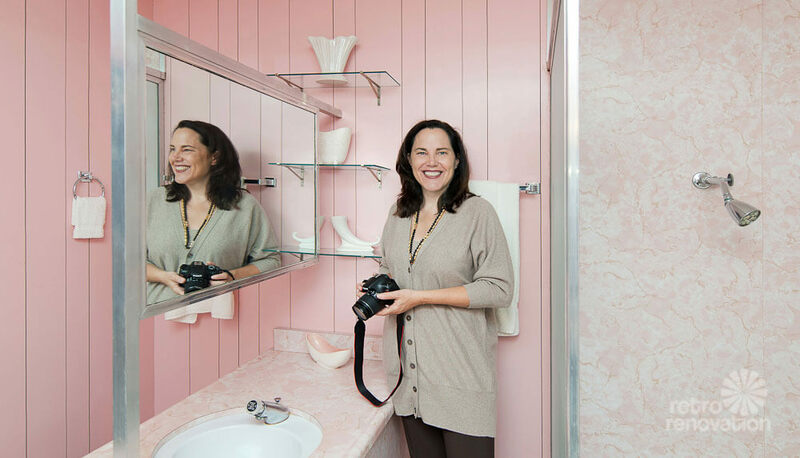 Of course, her bathroom was pink. 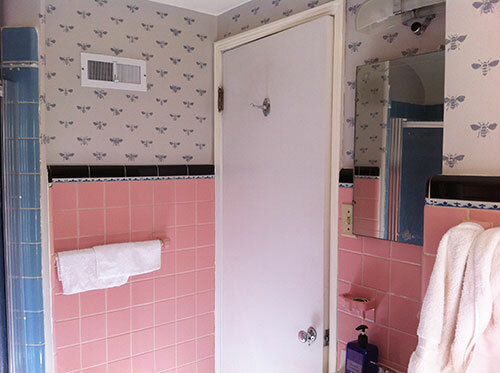 Mamie Eisenhower’s pink bathroom in Gettysburg. Note the wonderful pink doctor’s scale, too. And there is pink in the bedrooms and her dressing room. Carol has been with the site since 1980. But – I don’t think she has ever been peppered by so many questions about Mamie’s predilection for pink. And of course, she chuckled right away when she heard about SaveThePinkBathrooms.com and how Mamie is the patron saint. Carol says that Mamie had sparkly blue eyes, and that pink set them off. She simply enjoyed the color. Hey, you know how Michelle Obama got all that grief for her gorgeous arms? Well, Mamie also got criticism from the press for her pink, Carol says. She did wear some other colors, but ultimately would come back to pink – because she liked it. I add to that list: Mamie Pink. 1950s America had a First Lady with whom it could truly identify. Mamie shared the country’s popular interests and middle class values. She made a home in the White House and at the Gettysburg farm for Ike and her family. I’m very grateful for the opportunity to get to know more about Mamie. Slide show and history of the Gettysburg house. 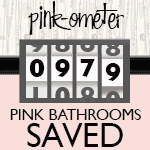 I’d love to have a pink bathroom. Or turquoise. And wasn’t the first Mustang pink? Jackie Kennedy followed suit with her pink outfits, including the one she was wearing the day the president was killed.